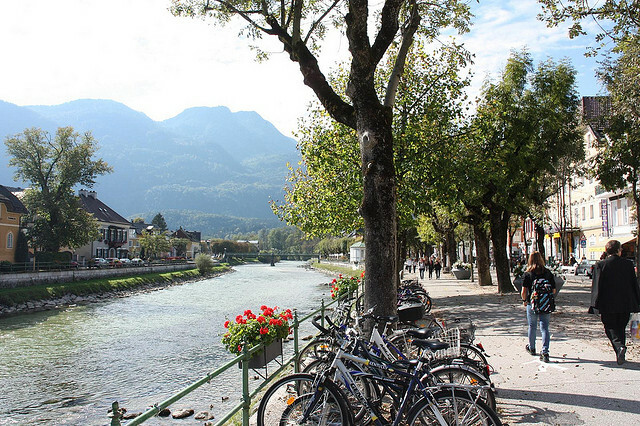 Bad Ischl is the most famous resort of Salzkammergut. The therapeutic properties of the saline water were evidenced since 1820 by the Viennese physician Wier. The story of the settlement begins a few thousand years ago, in the southern part of the town and the most important events are marked by the appearance of the Austrian imperial family in the region. Emperor Franz Josef has established his summer residence at Ischl, near his favorite hunting land. The resort has become one of the brightest centers of a fashionable life in Europe attracting the royalty and artists like Bruckner, Johann Strauss, Brahms and Franz Lehar, whose mansion is now a museum. 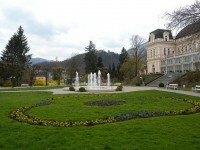 After the courtlife lost its importance, the resort of Bad Ischl strated to focus its efforts on the thermal bath, reconstructing the medical establishment (Kurmittelhaus) and modernizing the casino (Kurhaus). 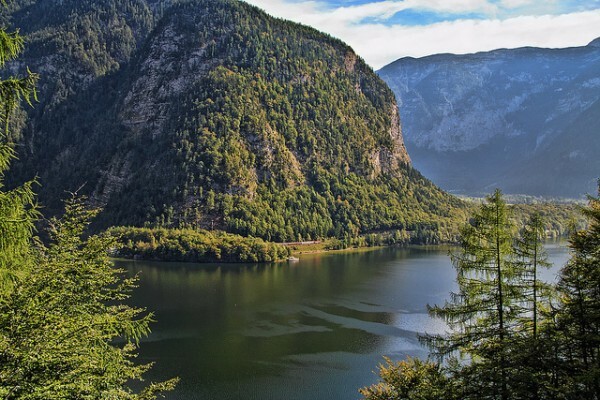 Located at the confluence of the rivers Traun and Ischl, the resort is situated in a wooded mountainous area with beautiful parks and buildings in Biedermeier style. The Aubock Market us the center of the town and is the place where you can find mineral water and a parish church. There starts the Pharrgasse main street with shops and restaurants, which reminds us of the the resort lifestyle in the nineteenth century. On the Esplanade street, at no. 10 you will find the Seeauer Haus with a rococo facade the parants of Emperor Franz Joseph lived. 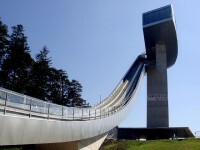 Subsequently, the location became hotel and now houses an exhibition center. Besides the imperial residence in Bad Ischl, the city offers some other great attractions such as the Kongresshaus, opened to the public since 1875, the new Kurhaus built by Clemens Holzmeister in 1932, and the former residence of Franz Lehár, that was bought by him in 1912 and transformed in the contemporary period into a small museum. Bad Ischl is also famous for the pastry called Konditorei Zauner that is over 150 years old or the Lehártheater built around the same time. 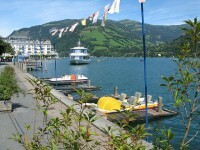 A cable car serves the transportation between the village and the Katrin meadows, place where you can get great views of the entire Salzkammergut region. Going from Bad Ischl to the south, the path goes in the bottom of the Traun river valley to Steeg. In the nearby salt mines operated since the Neolithic period were found tombs and tools from 1500 BC, marked by the processing of iron and the emigration of the Celts in Gaul. The items found here are exhibited in the Museum of Natural History in Vienna and the Eggenberg Castle near Graz.